Baldwin County Commissioners Tucker Dorsey and Chris Elliott and Fairhope City Council President Jack Burrell were among the South Alabama delegation using taxpayer funds to visit the Paris Air Show June 15-21. Last week, Dorsey and Elliott said the trip was worth the expense because of the potential payoff from the relationships built. 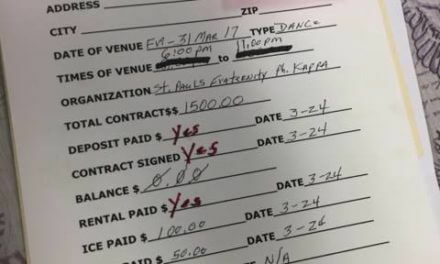 According to records provided by the Baldwin County Commission’s finance department, Dorsey spent a total of $4,497.34 for the event, including $2,441 and $325 on flights between Pensacola Regional Airport, Hartsfield-Jackson Atlanta International Airport and Charles de Gaulle Airport in Paris. Elliott spent $2,714.60 and $271.70 for flights. Both commissioners flew Delta Air Lines, and both paid $54 parking fees at Pensacola Regional Airport. Last week, Dorsey said the air show is a chance for coastal Alabama officials to recruit companies that might relocate to the area in the future. Much of the commissioners’ time at the air show was spent in meetings with Airbus suppliers seeking a presence near the company’s soon-to-be-operational final assembly line in Mobile. Dorsey said the money the county spends to send commissioners to the Paris Air Show — as well as the Farnborough International Air Show in London in alternating years — is worth it considering the potential payoff. 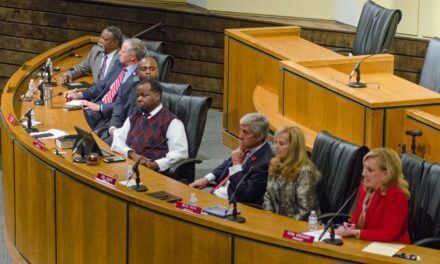 According to its own estimates, if the county spends $24,000 to send a pair of commissioners to the show for three years, where they build a relationship with and eventually land a deal with a company that hires 150 employees with salaries of $40,000 to $50,000 per year, the payoff for the county commission would be nearly $80,000 per year into the general fund from licenses, car tags and other fees. Dorsey paid $1,442.01 and Elliott paid $1,443.80 to stay at the Marriott Paris hotel during the trip. For transportation, the pair totaled $148.23 for Uber rides and paid $38.76 to RATP Group, the state-owned public transportation operator in Paris. Arriving in Paris on Saturday, Dorsey said the commissioners attended an evening dinner with officials from Mobile and Baldwin counties. On Sunday morning, they attended a breakfast with officials from cities like Dothan, Huntsville and Montgomery. Representatives from the governor’s office and a handful of state legislators attended. There was also an event with recruiters from the Aerospace Alliance, a group of business leaders, economic development professionals and government officials seeking to attract major aerospace projects to the Southeast. That evening, Dorsey said a dinner appointment provided a chance to meet with a supply company interested in locating in Alabama. Dorsey said the Marriott Paris is approximately 30 minutes by RATP train from the air show, which opened at 8:30 a.m. that Monday. The event is located at Le Bourget Airport north of Paris and features exhibits in what Dorsey called “acres and acres” of large tents. Attendees scheduled 30-minute meetings with companies throughout the day and tried to be back in Paris by the evening for more dinner meetings. Tuesday, the attendees faced a similar schedule. That evening, there was a reception for coastal Alabama companies, where they met with representatives from Airbus, Segers Aero Corporation, Foley-based UTC Aerospace Systems, aerospace representatives from the Mobile Aeroplex at Brookley and others. “I have never been so tired in my life, except for when my wife and I had our first child,” Elliott said. For food, records show a $40.90 charge for Dorsey and Elliott at the Au Reveil Samaritain bistro, as well as $19.44 at the Marriott Paris restaurant and a $14.20 charge for Elliott at BocaMexa, an apparently inexpensive Cuban restaurant located near the hotel in Paris. Elliott said most of the food came in the form of “sample-size” portions at the conference. Records indicate Dorsey paid $43.26 and Elliott $21.37 in international transaction fees. 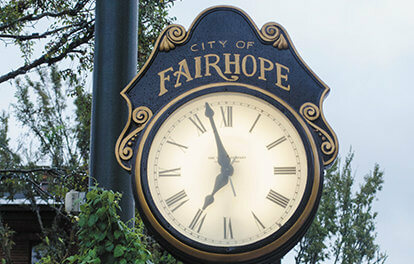 Records provided by the city of Fairhope indicate Burrell, the council’s representative on the Fairhope Airport Authority, spent $1,848.10 on airfare and $1,848.68 in lodging. Burrell reimbursed the Baldwin County Economic Development Alliance for $2,135.46 in registration and events fees. Baldwin County Economic Development Alliance President and CEO Lee Lawson also attended the air show. In July, Lagniappe reported Mobile city officials, including Mayor Sandy Stimpson, Communications Director George Talbot and Councilmen C.J. Small and Fred Richardson, spent a combined $14,000 at the event.